Today sees the launch of a new product by 3Doodler called 3Doodler Start. We were kinda hoping 3Doodler would bring out this product and they did. 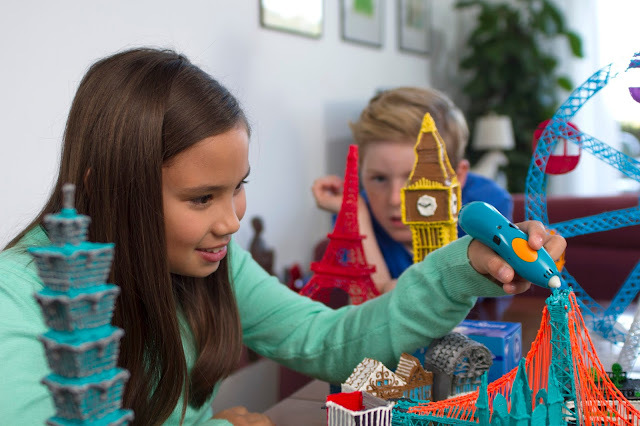 Finally a 3D pen specifically designed with kids in mind. With the rapid growth of the maker movement, especially among kids, companies need to rethink how kids design, create and play. Tracy and I got a chance to try out the 3Doodler at the London Toy Fair last month. We both thought it would be super nice to have a device that kids can use safely, and now there is. 3Doodler Start let's kids get their drawings off the 2D paper and into our 3D world. Making your own toys have now become a whole lot more fun. 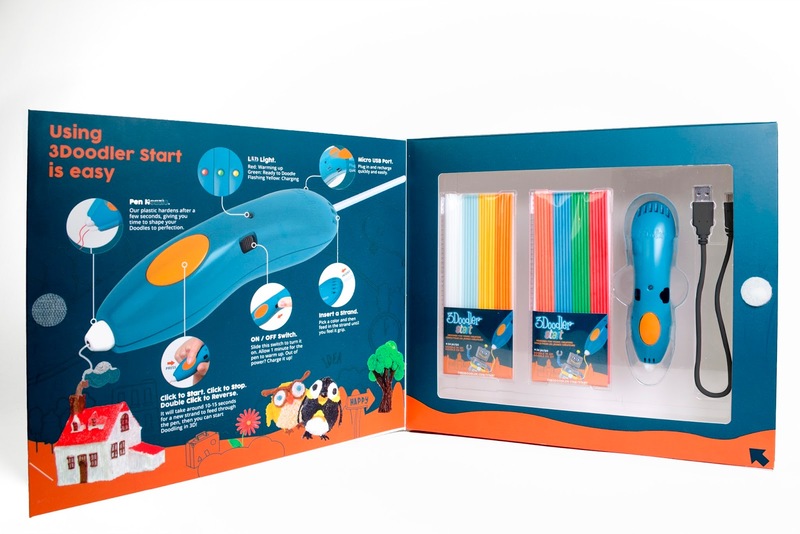 3Doodler Start is designed so it's easy for kids to use, with no hot points and a single temperature and speed setting. LED indicators show if the device is warming up, ready, or flowing forwards or in reverse. The Eco-Plastic used to make the creations, is developed by WobbleWorks in Great Britain, and is kid-safe, fully biodegradable and BPA-free. It's great to see it's USB chargeable using a standard micro USB port. Kids can easily use it without the frustration of a cord getting in the way. Fully charged, they state you can get 45 min to an hour of continuous wireless use. 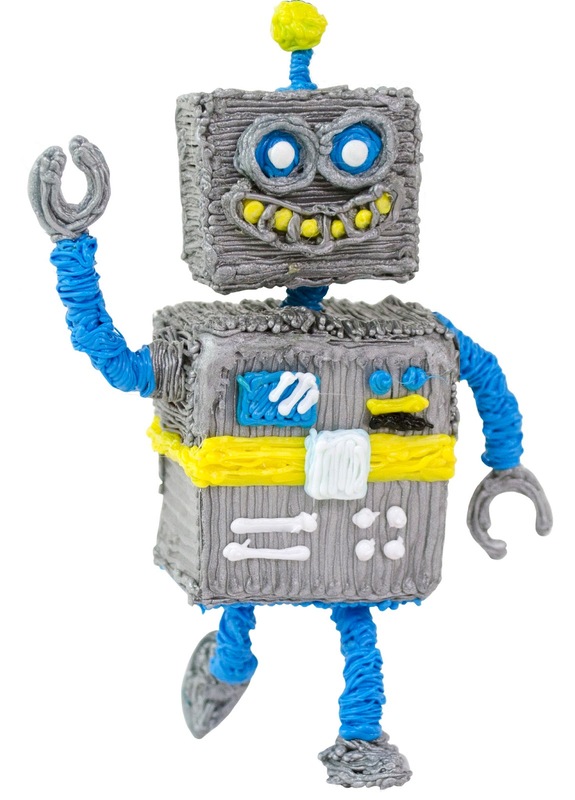 3Doodler is aimed at ages 8 and up and encourages independent play. I would imagine it could be used by younger kids of maker families where parents create and make alongside their kids. Kids who enjoy colouring, can now add a different dimension to their creations. Kids who enjoy taking apart and inventing their own toys, now have another tool available in their kit to increase their imaginative thinking. Kids can even make their own wearables. 3D Doodling is not necessarily the easiest thing to do (I speak of experience) but it is so much fun and with practice I'm sure kids will come up with amazing creations. There are two packs available the "Essentials Pack" and "Super Mega Pack" and you can also buy "Top-Up Eco-Plastics" available in 6 different colours. 3Doodler Start is available to pre-order now at the3doodler.com/start at a special introductory price of US$39.99, and will ship in May for delivery worldwide.